This guide will help guide you choose the best underwater fishing camera. It is very popular to record videos from when you go spearfishing and you can make them easily by attaching a camcorder onto the speargun. I did this trick a couple of times using a GoPro camera. The first versions of GoPro (GoPro GoPro and 2) came with a fish-eye lens that made the camera unable to focus under water. 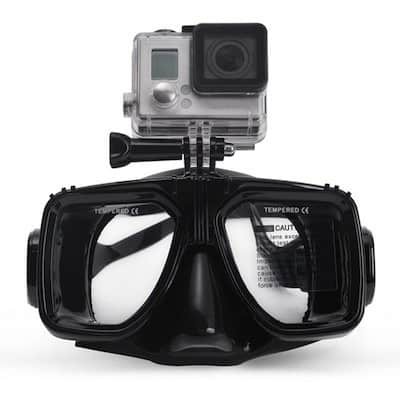 With GoPro 4 the camera body has an improved flat screen and works excellently under water. You can now also get colored filters that can compensate for the lack of colors underwater, which helps to give you better shots. For a GoPro to be mounted on a harpoon it requires a particular solution. If you dive in wrecks there is usually not very much space, and if you bump the camera into something it can fall off. One way to ensure your camera is safe is to attach it to the harpoon with a string (and possibly a rubber band around the camera body just in case). 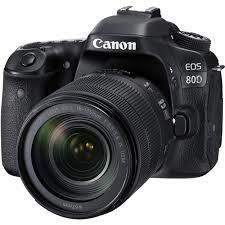 If you need photos and they need to be really good, you should acquire a camera that can be set manually. There is almost no way around it. The more experience you have with taking photos and video underwater, the more control you will want to have in settings on the camera. Blinder, closing time, white balance, external flash, ISO, macro, domeport, wide angle suddenly become “must haves”! When you get into it, there is almost no limit to how much photographic equipment you could wish for. Below I review three types of cameras that are relevant to the enthusiastic underwater photographer. 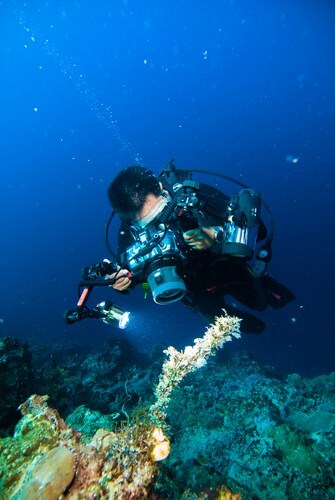 When you dive, especially as a free diver or underwater hunter, the size of the camera means a lot. Therefore, the first choice for those interested in photography diving is often a digital pocket camera with an underwater case. Many pocket cameras today have the opportunity to set the settings manually. An underwater case for most pocket cameras is guaranteed to 40m depth. – Be aware that you also have access to the settings of the camera when it’s in the underwater case! 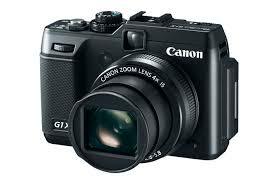 An example of a good camera with manual option is G series from Canon. This series distinguishes itself by having a good lens, good macro function, cheap price and excellent image quality. System camera or hybrid cameras are here to stay. 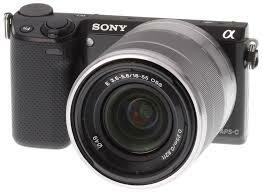 They can do almost the same as the big SLR cameras, but weigh less and take up less space – and the price is also lower. A good example is the Nex series from Sony. The cheapest of these cameras is on par with pocket cameras and the most expensive is in line with an SLR (and in many cases specifications). If you want to have the possibility of replacing your lens when you need to take underwater photos, the system camera is the way forward. There is nothing that beats an SLR when it comes to quality, fast lenses, light sensitivity, lack of noise and manual setting options. An SLR camera takes the best photos (and the best videos!). There are major challenges of using an SLR camera underwater. Here are some of the biggest challenges of taking pictures with an SLR camera underwater. It is large and heavy and creates water resistance. It often requires two hands to use. The underwater case is often more expensive than the camera itself. All underwater photographers experience at least one time drowning their camera … and it’s extra frustrating when you have paid a lot of money for it. The fear of damaging the camera can make you leave it at home. Have you reached a level where you feel that a pocket camera or camera system is not sufficient? Then an SLR is the only option. On the water surface, you have the full color spectrum, but the shades of color will disappear the deeper you get into the water. 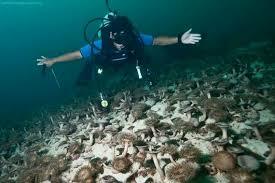 Red disappears as the first color and is almost completely gone at a depth of only 3 meters (9 feet). When you dive further down, the other colors disappear too. Eventually blue is the only color left. That’s why you use filters! In the “green” water you use purple or violet filters, while in tropical and subtropical (blue) water you use a red/orange filter. The difference between using filters or not is huge, and a filter is an easy way to get great underwater photos. So, if you need to take pictures deeper then 3m (9 feet), a filter is recommended. The first time you take a camera underwater, it is often with a certain restlessness and anxiety. Consider buying a waterproof camera, but observe the depth limit (most go to 10m). Buy an insurance policy that covers your camera before you go underwater. Always check the O-ring on your underwater case and make sure to maintain it. Clean it of dirt, hair, dust, etc. Always check that the underwater case is completely sealed – and that there is not anything in the terminal (string, silica beads, fabric, hair). If you buy a underwater case, select the one that can check whether the housing is waterproof (expensive, but good security). 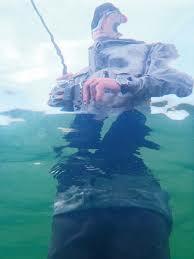 Make sure your camcorder for underwater hunting is attached with a cord to the harpoon or weight belt. Be sure that your camcorder for underwater hunting is not in the way when you need to reload or fire the harpoon. If your camera gets wet get it out of the water, as soon as possible. If your camera is soaked in salt water it should be rinsed in fresh water and then dried. If your camera is soaked in fresh water it should be dried as soon as possible. If your camera has become wet – do not turn it on until it is 100% dry. If possible send it for assessment at a photo store.